Additionally, we can provide clients with focused funding research to identify the most suitable sources of funding from private and public resources. We also specialize in the New York State Consolidated Funding Application process. 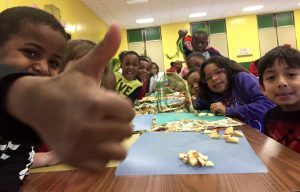 Each summer, New York State’s streamlined Consolidated Funding Application (“CFA”) provides access to dozens of state funding sources. 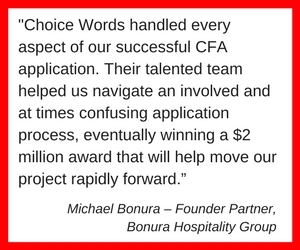 Choice Words specializes in the CFA application process: since 2013, we’ve won 39 CFA awards for our clients, totaling $27.5 million in funding. Contact us to find out how we can help your project get the funding it deserves! Since 2011, New York State’s streamlined Consolidated Funding Application (“CFA”) has provided access to dozens of state funding sources via a single application, abolishing bureaucratic delays and expediting funding. 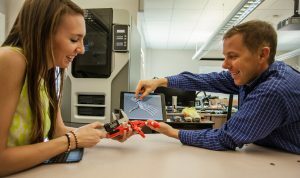 Applying for a CFA is a complicated process, however, involving lengthy online registration, participation in meetings, and a highly detailed application incorporating sometimes dozens of documents. Choice Words has been filing CFAs since its inception, and its associates have become experts at navigating the system. They’ve come to specialize in the CFA process, and are known as the grant writers for the job. 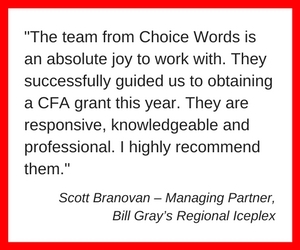 Choice Words can provide a team of professional grant writers to expedite the labor-intensive CFA application process, and deliver results. 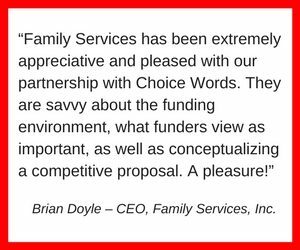 Choice Words LLC helps organizations inject new life into anemic outreach efforts. We can help hone your message and deliver it with clarity. Whether it’s through traditional media or social media, Choice Words can develop and implement new approaches to solve nagging communications problems. Communications consulting begins with a meeting between Choice Words’ team members and organizational leadership to decide what approach will align best with your organization’s purpose. Depending on your organization’s needs, the following services may be integrated into a comprehensive communications plan. Choice Words will do a full assessment of your organization’s web site and return with a detailed report on how to improve accessibility, effectiveness, clarity of message, aesthetics, and quality of information in order to increase traffic and time spent on each page. Depending on the organization’s needs, the client may then use this information internally and make changes with IT personnel, or Choice Words can connect the organization to a web designer. Choice Words also provides web copy writing services, helping to make the site’s messages clear and concise, and can assist with the setup and usage of web analytics tools such as Google Analytics. Is your organization targeting potential funders through email blasts and newsletters? Are you trying to reach a broader audience through scheduled, labor-intensive outreach efforts that are resulting in less than satisfactory ROI? Choice Words is experienced in assessing both your digital and “paper” outreach efforts, providing a comprehensive and detailed report as to how to improve them, and working alongside your staff to develop new content and formats for your outreach efforts that will bring your ROI up to speed in no time.